When we choose things, we always want the best for us. But sometimes we have little information about things that we do not know if it would be better or if it would be troublesome. Like when choosing garage doors, we want the cheaper yet more durable one. There are different types of garage doors; including Steel, Aluminium and Wood. Most garage door owners prefer aluminium while others prefer wooden garage doors. Of course, there are differences, advantages and disadvantages of each type. This time, we are going to look through Aluminium Garage Doors. We will try to look at its advantages and disadvantages and we will see if it is the better choice for our garage. ADVANTAGES of ALUMINIUM GARAGE DOORS. – Lightweight. Because aluminium garage doors are lighter compared to other garage doors, they create lesser strain on the torsion spring and garage door opener. – Easier to install. Aluminum garage doors require shorter time to be installed which results to smaller expenses. – Strong and Sturdy. 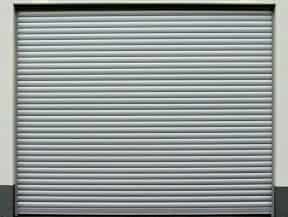 Aluminum Garage Doors are proven to be quite sturdier than wooden doors. And they do not rust unlike steel-type garage doors. – Appearance. Aluminium Garage Doors can easily be painted; this makes them look brand new again. – Recyclable. Aluminums are eco-friendly material which makes it recyclable. DISADVANTAGES OF ALUMINUM GARAGE DOORS. – One of the major disadvantages of aluminum doors is that it is easily dented. Unlike wooden doors, if hit with things, a basketball for example, could create a dent on it. – Aluminum garage doors are also not the type that is used to strong storms and if you have children playing near your garage, aluminum is a bad choice. – Since this type of garage door is easily dented, it could take lots of repairs, and repairing it would not be easy too. Aluminum Garage Doors are good choices for some. But it does not quite suit the demands of other garage owners. Well, it still is worth the look if you are looking for a good garage door. It is lightweight, corrosion resistant, and easier to redesign. Though, if you are in a place that suffers from frequent hailstorms, or maybe there are kids playing in the driveway, you might want to choose another type of Garage Door.